About: The world's most-versatile sleeping mask: Comfort in bed + prevents the classic head-bob many of us are familiar with while traveling. Travel has become such a big part of my life. 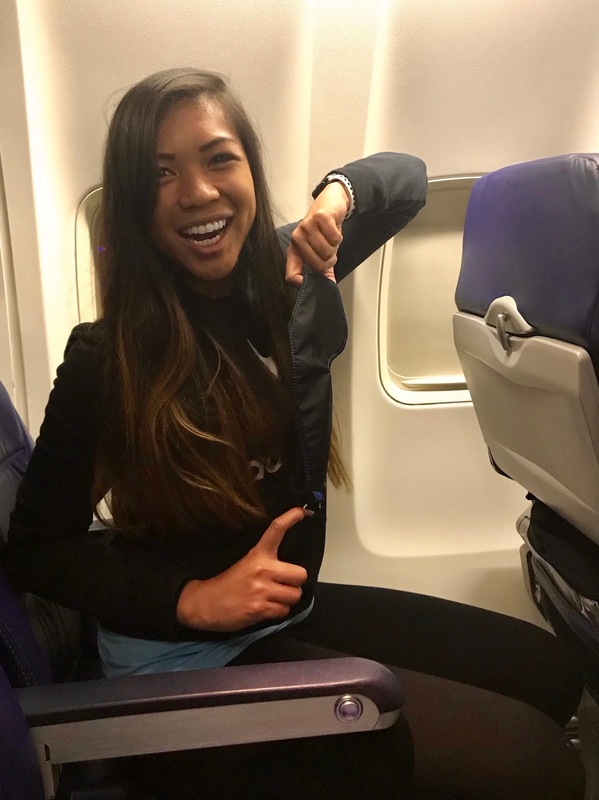 Whether it's for fun or for business, I feel like I am always on the go (in January alone I have four roundtrip flights!). People don't know this, but one of my favorite flights to take when going east is the red eye flight. I love that I don't "waste" any time since the flight is overnight (when you would be sleeping anyway), and essentially get an additional day at my destination without having to pay for a hotel room! What I don't love about the red eye is that I don't always get the best sleep. So when SeatDreamzzz asked me to review their product, I was stoked to try it on my upcoming red eye flight to Orlando! To be honest, I'm pretty good at sleeping on planes, but I do get interrupted by the occasional head bob by trying to sleep vertically. Enter SeatDreamzzz. At first glance, I love the sleek carrying case it comes with. It's lightweight but also feels like quality (so it can last throughout many trips! ), and SeatDreamzzz says that it's waterproof (haven't gotten to test this part out yet). There's are pockets inside the case for anything else you'd bring on a carry on like headphones, keys, or a contact lens case. As you can see above, there's a loop attached, so it can easily go on to any backpack or whatever you use as a carry on. And it is so much lighter than a neck pillow that never seems to be very comfortable anyway (I always end up not even using mine, even when I bring it!). I was able to easily sleep on my flight from Los Angeles to Orlando without any head bobbing! However, I did have to adjust it a few times to my liking. I think the secret is to keep it a slightly loose so it doesn't feel so constricting. Another concern I had initially was my lashes (lol). My normal sleep mask keeps a little space in your eye area, so I was a little concerned about my false eyelashes would get messed up while using the sleep mask, but my lashes ended up being just fine. I'd also like to see a longer strap option, as some airlines don't have the headrest this product is designed for. Overall, I love how sleek and compact it is and how it solves the dreaded head bob issue on long haul flights. Best of all? You can detach the airline strap and use it as a regular eye mask when you get to your final destination! 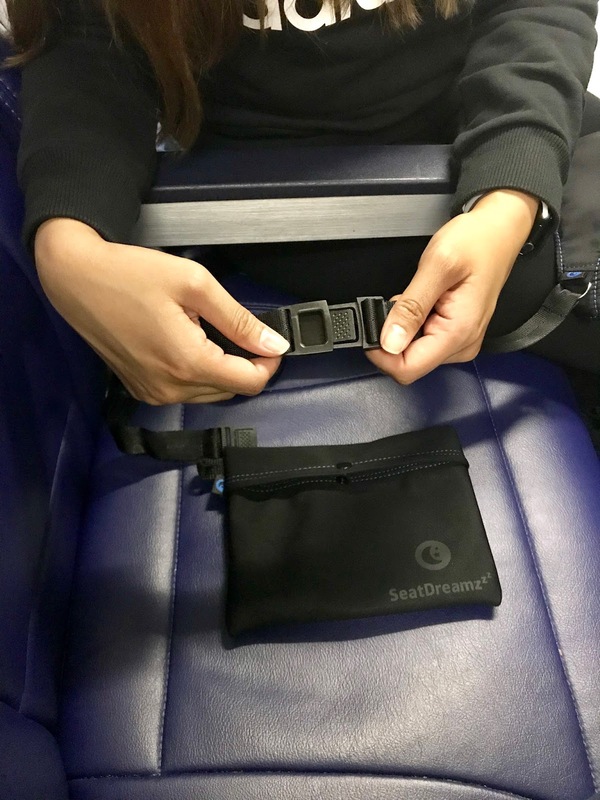 To learn more about SeatDreamzzz visit their Kickstarter page here. You can score your own SeatDreamzzz mask for as little as $30 and be a part of bringing this brilliant idea to life! This post is sponsored by my friends at SeatDreamzzz. As always, all thoughts and opinions are my own.